Maintaining the car. The first things you should check. If you just bought a Nissan GTR there are a few things you should check, and you should know before you go out and do too much drag racing, or running around the road course. This guide goes though a few of the basics for your RB26.I originally wrote this back in 2000. I have updated a few things over the years, but a few parts need an update. 2) Fuel - 91 AKI(RON+MON/2) in California. Higher some places . You don't want to run anything less than the highest octane pump gas available. 3) Air filter - If you are using the stock box you can put a K& N part # 33-2031-1 OEM –16546 –V0100 or 16546-V0100 , Fram CA4309. 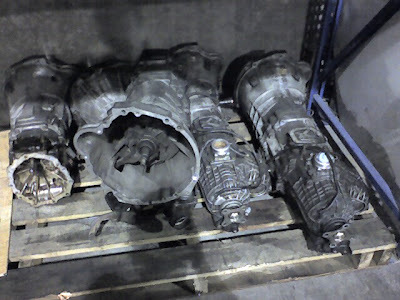 Fits R32,R33 ,R34. Part of making power is Air in /Air out. 4) Spark plugs - PFR6A-11 are the stock Nissan Skyline GTR plug made by NGK. PFR7A-11 are one heat range cooler, also from NGK. You may want to tighten the plug gap up if you are going to up the boost. Stock gaps on these plugs are 1.1mm which is pretty wide for a spark plug.NGK Iridium's work well(BCPR7EIX). We have had a problem with the Denso iridium plugs breaking the ceramic around the electrode. With the NGK's we haven't had a problem. Denso Iridium spark plug missing center ceramic. You have been warned ! 6) Transmission fluid - Don't try and fill it though the gear shifter. Though the gear shifter is the transfer case . Get a good GL4 75-90. The Getrag in the R34 uses its own special fluid, although we have used Redline ATF with success. Fuel injectors - 444cc. Lets just say that each cc of injector - on a 6 cylinder car is good for 1 hp... 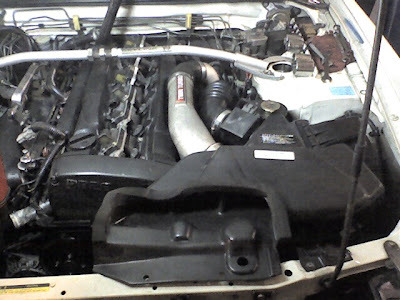 So with the stock injectors we can make 444 hp at the motor.... its just an approximation , but its pretty close. The stock injectors are "yellow" tops. 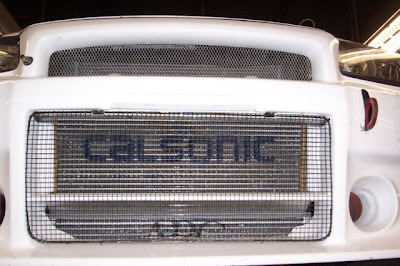 They are also low impedence, so there is a resistor pack located on the right side of the engine compartment. Fuel Pump - 195 L/hr . If its 15 years old, it might be a good idea to change it Nismo replacement is 276 l/hr . Apex'i Replacement is 276 l/hr. A great page on fuel pumps is the Stealth 316 page. Very detailed. Turbos - Above about 1.1 bar the stock ceramic exhaust wheels have a tendency to break the exhaust wheel off. People have gone low 12's, high 11's on the stock turbos, but not for long. Records for stock turbos. Stock peak boost R32 Skyline GT-R is about 0.8 , R33 0.9, R34 1.0. Need to go to a full metal turbo. HKS GT series are good turbos. We have also run Apex'i AX series turbos. The 2530's are the way to go with the small GT series for about 450-500 whp on pump gas on a 2.6 liter engine. 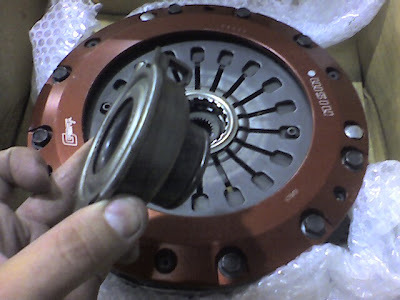 Clutch - The stock Nissan clutches have gone low 12's, but in an R32. R33/R34 they give up pretty quickly. High 12's, slip them a few times, and they are done.At least a sturdy single plate. Nismo twin plate works well. HKS twin plate is fairly hard to drive , but you get used to it. It also makes a bit of noise. A triple plate is very difficult to drive in a street car. MAF - The stock RB26 65mm MAFs are good for about 400 wheel horsepower. Above then they run out of range and max out their voltage. A popular replacement is the Nissan 300ZX meters. A 300ZX uses one MAF - we double up for the GT-R.They are physically larger. Some ECU's swap over to MAP based load, but with the ITB's, it can be a difficult thing to tune for part throttle. Camshafts - Stock the RB26DETT camshafts are 240/236 duration 8.58/8.28 mm. 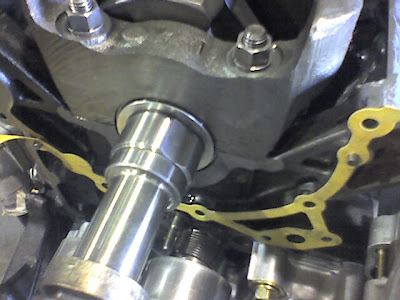 If your aftermarket camshaft has more than 9.1 mm of lift, the head needs clearance around the lifter bucket due to the height of the camshaft lobe. Small cams will generally see at least 20 whp, and will generally also pickup response. Stock base circle is 32 mm. 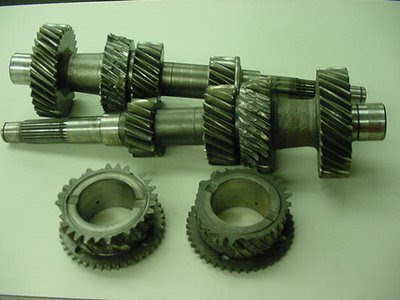 Many of the higher lift aftermarket camshafts have 30mm base circles. Brakes -Stock R32 brakes are an upgrade for 300ZX's.Stock Vspec R32 brakes are Brembos. Stock R33 /R34 are Brembos. For most people these are adequate . Brake pads are up to whatever is the latest and greatest. Generally speaking if they work really well, they throw a lot of dust, and squeal like a stuck pig at low speeds. Clutch - Lots of power and AWD . The fuse in the driveline is the clutch. You have a lot of possibilities here. My favorite "normal" clutch is the Nismo twin plate clutch - along with a Nismo Slave Cylinder(even though it is not recommended to use with a twin plate). The twin plate clutch will work until around 600 hp at the wheels. It has a very nice feel , plus its a sprung hub , for that extra give in the driveline. 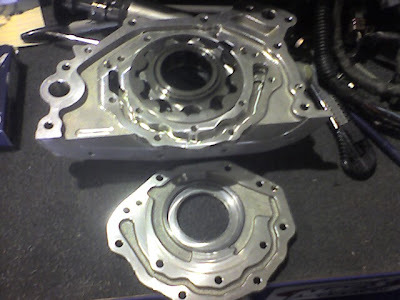 We have used HKS/Tilton twin and triple plate clutches. They are non -sprung hub. The HKS/Tilton twins are fairly difficult to drive. Or as Sport Compact Car called one "the clutch from hell". The triple could not be recommended for a street car. It was extremely difficult to drive on the street. Carbon clutches are great but very expensive. The Tilton true carbon/carbon clutch costs around $6000. Transmission - In R32 ,R33 making over 500hp to the wheels , 3rd gear has had some issues while drag racing. The synchros are also not all that durable. The internals of the R32,R33 are the same as the 300ZX twin turbo. Redline Shockproof Heavy Gear Oil. We used it in our 10.7 drag car with a stock transmission and it seems to really help with transmission durability. The Getrag in an R34 requires its own special oil.The oil is available from Toyota dealerships and its $40 a liter. The Getrag does not like Shockproof Heavy, so don't use it in it.. OS Giken transmission internal upgrades for the R32-R33 seem to be good up to 700 hp. If you want to go fast straight, there are some guys building a strong Nissan automatic box. Turbos - The stock R32,R33 ,R34 turbos have ceramic exhaust wheels . Detonation has caused more than one of these to break off , thereby causing a normally aspirated GT-R. Don't detonate on the stock turbos. In Japan they say the limit is 1.1 bar.You can run more, just be prepared to change the turbos. 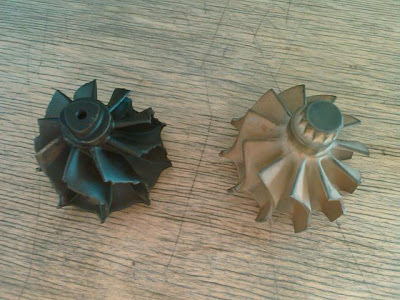 The N1 oil pump is similar to a stock pump with a stiffer spring.We had a lot of N1 oil pump failures. These pumps were direct from Nissan, not knock off's as some have speculated. Many aftermarket companies make upgraded pumps. The motor has to come out, they cost $1000 and up. #6 cylinder - #6 cylinder is the lean cylinder. Every motor has a lean cylinder. Its also at the back of the motor, last to get coolant flow. The stock intake manifold design forces air to stack up at #6. 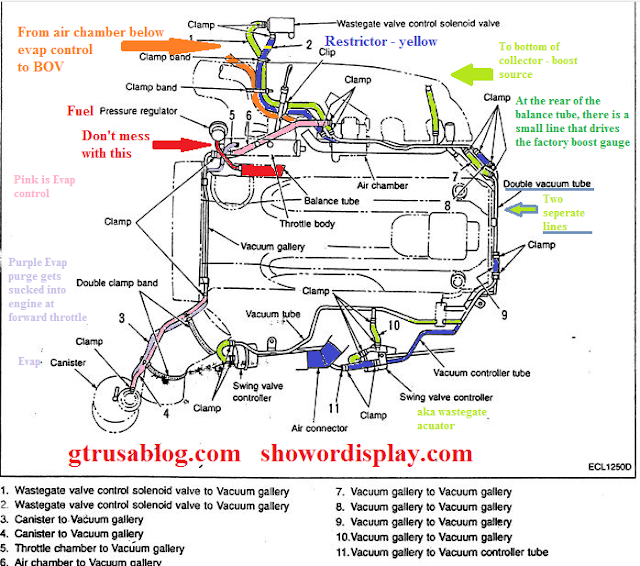 The Nismo inlet plenum was designed to balance flow though the motor. This is not really a basic, rather something just good to know. Just know that if you ever run the car lean, you will probably hurt #6 first. Also if you are checking compression or leak down, try out #6 first. Japanese market premium fuel is rated at 100 octane.They use a different method of determining octane in Japan. Here in the US -Southern California our premium fuel is 91 octane (RON+MON/2) or AKI . Of course you can buy 104 unleaded from VP. You can also buy 100 octane unleaded out of the pump at some 76 stations. But for all practical purposes 91 octane is as high as you will get here in Southern California. Some places in the US you can get up to 94 out of the pump at "normal" gas stations.